Nelson Mandelahas been one of the twentieth century’s greatest political figures. Incarcerated in prison for over 20 yearsdue to his role in fighting apartheid. Nelson Mandela came to symbolise theinjustice of apartheid andhis fate became a rallying cry for those committed to its overthrow. 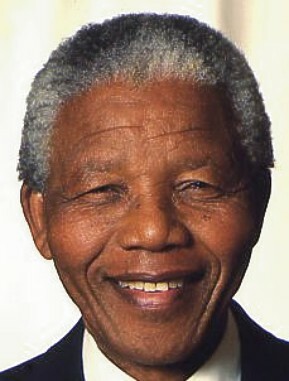 In the early 1990, with great magnanimity and force of character, Mandela was able to help negotiate an end to the system of apartheid leading to his election as president of a free and democratic society in 1994.Although retired from public life Nelson Mandela retains a great popular appeal across the globe.